The color orange evokes thoughts of fall. Of changing leaves, sunsets and desert sandscapes. It’s active. It’s wholesome. Orange is vibrant. It symbolizes energy, vitality, adventure, warmth, and good health. Darker oranges offer a sense of comfort while lighter oranges are soothing. But orange has a bit less intensity than red, calmed by the cheerfulness of yellow. "Orange is red brought nearer to humanity by yellow." Wassily Kandinsky, Russian painter and art theorist. Orange is the color of life rafts, hazard cones, and universally associated with safety. 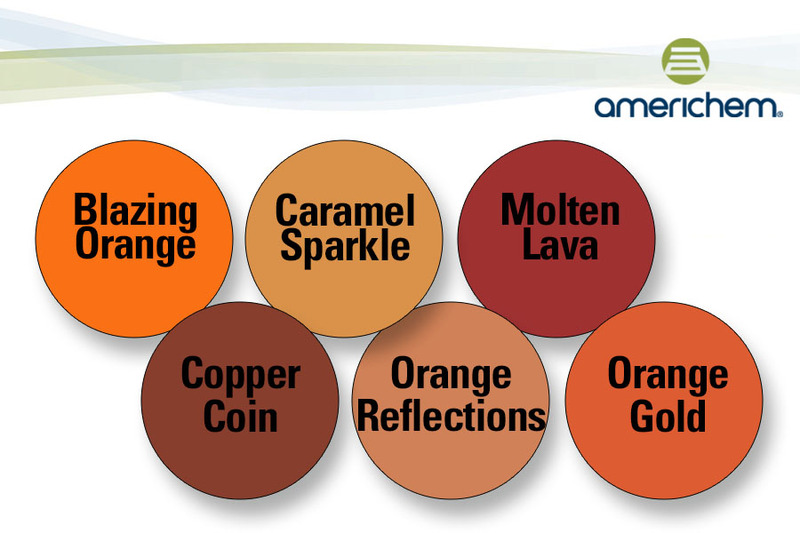 That’s why the orange family of colors from Americhem offer so many opportunities to differentiate your products. Let us know how we can help you design your next orange today.